The Touhou series of games can probably be summed up as the most colorful death you will ever experience in a game. Taking a bit of a change from the standard top-down danmaku/bullet hell/schmup, we get the side-scrolling fan game spin-off Touhou: Azure Reflections. 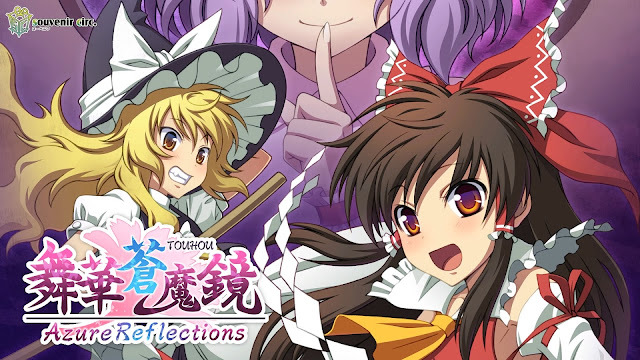 Following the Touhou standard while still imparting it’s own charm, Azure Reflections is probably one of the best Touhou games for newer players to ease into, not to say it’s particularly easy on harder difficulties, but it certainly is more accessible. The Touhou series of games, including their fan game spin-offs, have always been a bit of a personal favorite for me, not that I’m particularly great at them, but I certainly enjoyed them enough. 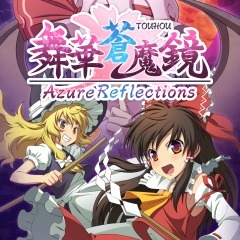 Azure Reflections is a sort of retake on The Embodiment of the Scarlet Devil, an official Touhou title that was, incidentally, the first one I ever played. A red mist covers the land of Gensokyō, and it falls to the local shrine maiden and resident problem solver, Reimu, to solve the issue. And yes, that’s pretty much the description for both games. In Azure Reflections, both Marisa Kirisame (the ordinary average magician) and Cirno (the super last boss ice-fairy) can also participate in the resolution of this incident. 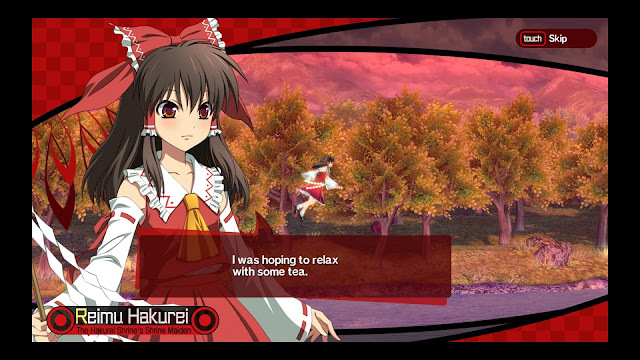 If you haven’t played a Touhou style game before, first let me say that they’re usually pretty difficult. Essentially, you will have an auto-scroller through a stage where you have to evade a seriously massive amount of bullets, and then you reach a boss, and have to dodge even more bullets. Thankfully, your hitbox is rather small, and you can change the settings to have it visible while playing, or just while slowly moving. 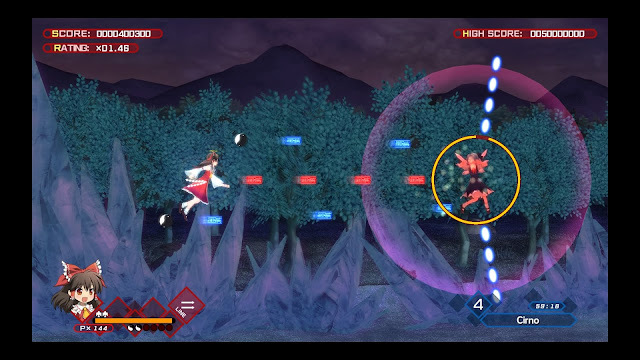 In traditional Touhou fashion, you have bombs that can clear bullets/enemies and damage bosses, and different shot types you can choose when starting a game. New for this particular instance, we have the side-scrolling mechanics of being able to shoot both forward and backwards. Additionally, you can now use a barrier-charge move, where you can activate a barrier to absorb bullets, and then use that absorbed power to do a dash attack at your foes. Your barrier recharges naturally over time, although it will charge faster when performing grazes, which are basically getting close enough to the bullets that you can’t believe you didn’t get hit. While you can still power up your shot type with P items, they now hold a new purpose. By expending a portion of your P items, you can remove some of the bullets in the vicinity around you. Another change is that you aren’t instantly shot down upon getting hit. Instead, you get stunned for a bit, and another shot will bring you down if hit while stunned, essentially making you a two hit point wonder instead of one. As is common in Touhou games, whether fan spin-off or not, the music is really great, as pretty much all of the soundtrack is remixed from the original Scarlet Devil soundtrack, and they were done really well. The graphics are nice and crisp compared to the old-school style, and the anime-style character portraits for the interactions were well drawn and had a lot more variation than I was expecting. Speaking of the character interactions, I’m pleased to say that the often comedic banter that doesn’t really take much seriously is still an integral part of the game. Including accessories that you can purchase with in-game funds in order to adjust your character’s appearance or provide beneficial bonuses was a really interesting idea, meaning that you could purchase accessories that would increase your graze distance, reduce your stun time, or enhance or slow down movement speed. Or you could go the fashion route instead. With a really stellar tutorial for introducing new players to the Touthou system, and veteran players to the new quirks, Azure Reflections is really easy to step into. 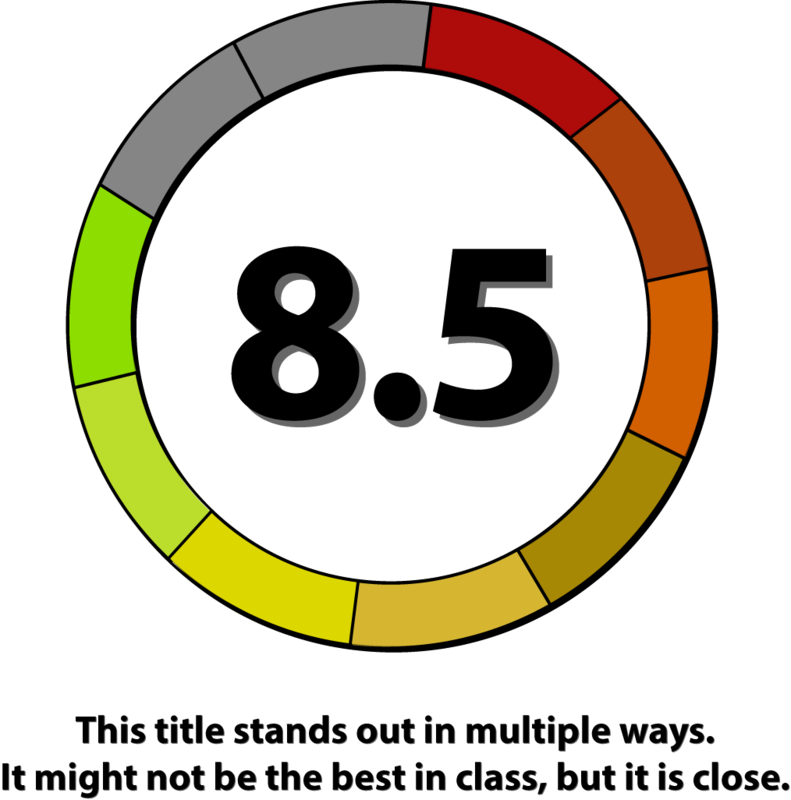 While a lot of the game is unlockable through completing the story and capturing opponent spellcards (which is more or less a sort of “challenge mode” during boss fights), neither are particularly difficult to do with a bit of practice, at least on normal difficulty, and there are always the harder difficulties with their own rewards for more seasoned players or those looking for a challenge.